Please read the following FAQ first. If you still have a question, contact us. What is not working? If you have a problem with any aspect of the site please be specific about that issue. Start by reading the rest of this FAQ. If your answer is not in the FAQ, please email us. I can't download any videos, why? The Free Videos Forum contains all of our free video content. Otherwise, video packs can be purchased from the Video Packs Page. If you have purchased a video pack, you can download the videos by clicking on the "download here" link at the bottom of the video pack's information page. If you purchase the premium or standard pack, you can find videos in several ways from our Videos Page, and then click the Premium or Standard download link above each video to download. There is no way in the Premium or Standard Packs to download every video at once or in bulk, aside from bringing videos up on tabs (takes about 5 seconds to start each video's download, so roughly 12 videos per minute can begin downloading). This depends a lot on your experience level. You can always email us or start a new thread in our General Questions Forum. Can I get free access to Video Packs for signing up to Poker Rooms (Rakeback, Deposit bonuses, etc.)? You can see all of our offers on our VIP Page. Earning free packs starts with only a $100 rake requirement during any month. We offer most of our video packs for users that rake various amounts, from $100 to $1,000 during the month. - Users can earn one pack per month. - Users get the very best rakeback, VIP, sign up bonuses and deals to poker rooms. - Users have the comfort in knowing we have a very good track record with poker rooms we recommend and a reputation for giving honest information about the poker rooms, whether it is good or bad news for the player. - On almost every single one of our deals the poker room pays users directly, taking the risk out of working with certain affiliates that might promise you one % then retract it or disappear later. - Users can contact us with any questions about poker rooms, sign ups or earning free video packs. I just made a purchase on your site and I cannot view my videos? For users that paid via eChecks, the typical wait period for the payment to clear is 3-5 days. 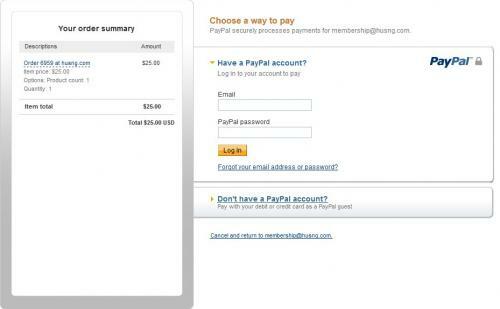 From time to time Paypal will also hold a payment for a security check. This usually clears within 24-48 hours. Most users are automatically activated shortly after payment. Try clearing your cookies and cache or trying a different browser with your account before contacting us if your user account has a membership role activated on it and you cannot access videos. HUDs take up to 24 hours to be activated. I emailed you with my user ID and I am awaiting activation of my account, how long is this going to take? This may take up to 24 hours in some cases. If you have not heard back within 36 hours, please email us again. Our rate of reply within 24 hours is over 98%, however unforseen events do happen occassionally. Why is it asking me if I want to save a zip file when I click on a download link? All of our video downloads are compressed into zip archives. This minimizes the file size and gives you a faster download. Just click Save and save it to your hard drive. Once the zip file is downloaded you can extract the video and view it normally. I am located in a country that Paypal will not serve, how can I pay? For users that are in these areas of the world, you can email us for alternative payment options or to see if we can accomodate you via paypal. I'm trying to watch the video but it isn't working. What's wrong? Whether you are a PC or Mac user, make sure that you have the latest versions of both the VLC media player and Quicktime installed. PC users can also use KMPlayer. Mac users might want to check out Flip4Mac for playing wmv files through Quicktime, though most of our files over the last 3 years have been in MP4 format. A great video player on PC is GOMPlayer. It seems to be able to handle most video formats without any issues. Will you add new foreign language videos to the site? These videos are added usually as part of a larger deal, when a foreign language site wants to sell our videos. We do not translate our own videos regularly, but we do have several French and Russian translated videos on the site. If you participate in a non English poker site or forum and you think they might be interested in purchasing some of our videos for translation, please contact us. I have an issue with some of the material, coaches or concepts on the site. Contact us with any problems with any of the quality on the site. We always love to hear feedback and we are happy to talk with you about any issues that you have.